Victoria Park’s association with horse racing is nearly as old as the park itself. The white concrete planter bowl you can see here was previously the centrepiece of a rectangular garden, which was itself at the centre of the former stables area. If you look around you at the arrangement of ash, cedar, elm, plane, and Norfolk pine trees you might observe the remnants of the yard that was surrounded by horse stalls. One map from 1839 already includes a racing track here, and by the 1840s races were held regularly. Horse racing was seen as an important cultural and social event – a very desirable and significant way to verify the British identity of this colonial outpost. Not everybody approved, however; one Reverend of a nearby church wrote to the governor complaining of the dust raised by the horse’s hooves. Horse racing was officially sanctioned in Victoria Park in 1855. The City Council recognised, at the time, that it had no power to permit permanent structures within the Park Lands. However that did not stop the Racing Club from constructing an unapproved grandstand anyway. A lease which enabled the construction of permanent buildings was issued in 1867, and a grandstand was erected with approval in time for the Queen’s Birthday that year. The grandstand we see today however came 15 years later in 1882. Further built additions to the park over the years included fences, stables, a betting ring, secretary’s office, and maintenance and amenities buildings – most since removed. Racing’s popularity began to decline in the decades following the Adelaide Racing Club and the South Australian Jockey Club’s 1975 amalgamation, and horse racing was eventually consolidated at the suburban Morphettville racecourse. 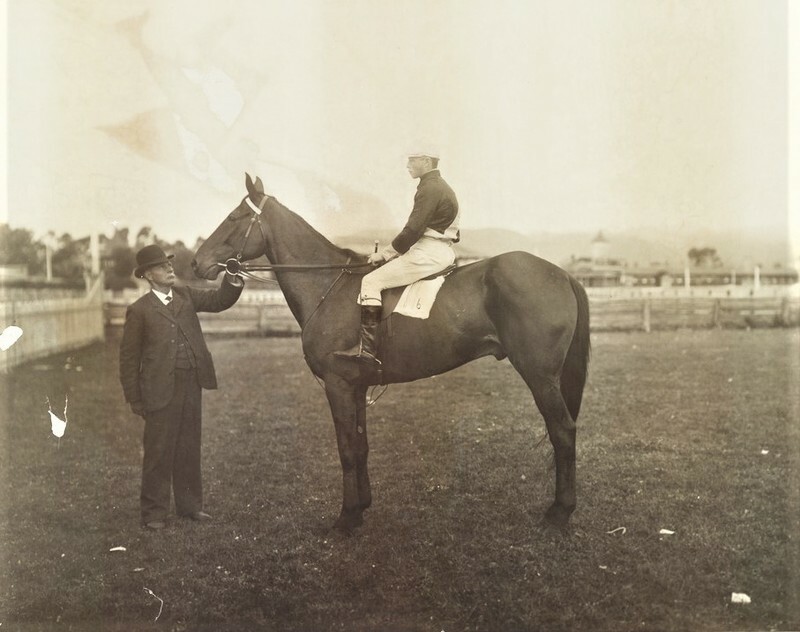 Horse racing was eventually consolidated at the suburban Morphetville racecourse, but not before one final controversy at Victoria Park. The SAJC lease expired in 2004, but the Jockey Club temporarily continued its occupation in a holding-over period. The SAJC met with overwhelming public opposition over an ultimately unsuccessful proposal upgrade the facilities and build a permanent, 200m long, three storey building. In December 2007 Victoria Park hosted its last race, and the lease was terminated the following year. Adelaide Park Lands Preservation Association, “A history of racing,” Adelaide City Explorer, accessed April 24, 2019, https://adelaidecityexplorer.com.au/items/show/293.